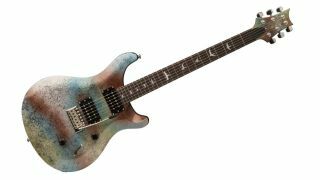 The SE Standard 24 Multi-Foil is one of the more arresting offerings in the PRS catalogue, and now it could be yours for a much-reduced price. Sweetwater has slashed $150 off this electric, resulting in a $699 total, as opposed to its previous $849 price. Besides the finish, the Multi-Foil is also kitted out with some pretty sweet specs, including coil-splittable 85/15 ‘S’ pickups, PRS-designed tuners and tremolo, plus an easy-access 24-fret neck.